I promised another foodie pic and here it is! 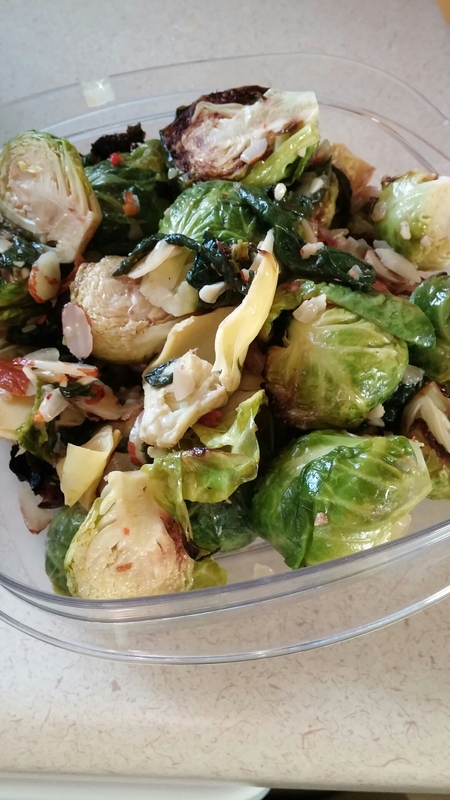 This is a brussel sprout and artichoke heart salad we made for lunch. Again, it’s great served hot or cold. And super healthy! I’m sure I’ll have more tasty pics to share later this week!